Facilitated by Robyn Stephen, Vibrational Healing Practitioner & Lightworker. Wednesday 9th January 2019, 7 - 8.30pm, please arrive by 6.45pm as door closes promptly at 7pm. 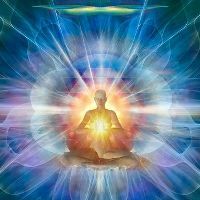 You are invited to join our group meditation once a month, where you are guided to immerse yourself in the Light to enhance your life, increase your wellbeing and develop on a spiritual level. This meditation we will be working with the Ascended Master Lord Sananda who will guide us to let go of the past, focus on the good in our life and set our intentions for a wonderful, happy 2019. The meditation will be approximately 1 hour in length, followed by time to share or discuss your experience if you wish to. There is no ongoing commitment required, just book in when you are able to come. Please book so that I can have the room set up beforehand. Robyn Stephen is a certified intuitive energy and vibrational healer practising several healing modalities and a qualified practitioner of Aura-Soma Colour Therapy, Reiki, Butterfly & Sea Essences.